We are a client-focused firm based in Palm Beach Gardens, Florida, and representing clients throughout the state. We offer legal counsel and representation to persons injured due to the negligence of others. In our 30 years of personal injury practice, we have helped more than 5,000 victims. Our personal injury lawyers have over sixty years of combined legal experience. We have the skill; we have the expertise. We know how to win for you the compensation you need and the justice you deserve. Led by Thomas J. Lavin, Esq., a Bronx native and a graduate of St. John’s University, our personal injury attorneys are committed to clients who have suffered due to the negligence of others. We bring this dedication to justice into everything we do. We pride ourselves on our loyalty to clients and our diligence in pursuing the maximum possible compensation for victims. Our record speaks for itself. 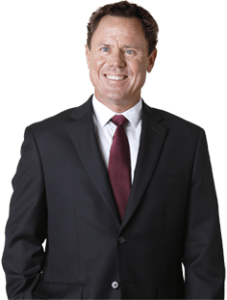 West Palm Beach personal injury lawyer, Thomas J. Lavin, Esq. has served his clients for over 30 years. Since establishing the Law Offices of Thomas J. Lavin, Mr. Lavin has focused exclusively in personal injury law. He received a Bachelor of Arts degree from Iona College in 1979 and a Juris Doctor degree from St. John’s University School of Law in 1983. He is admitted to practice law in the states of Florida and New York. Mr. Lavin is a member of the American Bar Association, the American Trial Lawyers Association, and the Palm Beach County Bar Association. Mr. Lavin is also a sponsor of the Simpson Basketball Benefit, the J. Lyon’s Golf Benefit, the Throggs Neck Saint Patrick Day Parade, the “Adopt A Highway” Litter Removal Program, Catholic School Sunday Bulletins, and “Free Notebooks” for public school students. Lost income is one of the most important types of financial damages that you will recover in a personal injury lawsuit. For many people, lost income simply means the salary lost while the victim was in the hospital recuperating after an injury. However, lost income covers many more types of financial losses that are directly related to earning capacity or earning potential. When you try to recover lost income damages as part of your personal injury claim, you will be required to provide evidence of these damages. It is not merely sufficient for you to claim that have suffered lost wages because of your injuries that caused you to stay off work. It is very important to provide substantial evidence about your lost income. You can claim damages by providing a number of different types of evidence. First, get a letter from your employer that clearly states all of the days that you were absent as a result of the injury, and your salary at the time of the injury. Your salary or wages must include your hourly pay. Evidence from your employer must include any other types of financial compensation for work-related activities that you were eligible for. For example, if you were doing over time very frequently during the weeks or months before the before the injury, then your personal injury claim must also include the overtime that you might have been eligible for if you had been able to work. Additionally, if you were realistically on track for a performance bonus, you may be able to include this as well. Speak to a Palm Beach personal injury lawyer about a bonus can also be included in your damages. Lost income can also include the other types of bonuses, gifts, or other types of financial compensation that you were due to receive before your injury. There are a number of other types of financial perks and benefits that you may have lost out on because of the injury. Don’t forget to mention this to your Palm Beach personal injury lawyer so that he can include it in your claim. Your spouse can also claim damages for all of the losses that he or she has suffered as a result of your injuries. These damages are typically referred to as loss of consortium damages. Florida law will allow your spouse to recover damages for losses that include loss of care, companionship, affection, sexual relations, assistance, company and solace. If you’ve just received or if you’re about to receive income through a personal injury lawsuit, you may be wondering: will Uncle Sam take a part of my personal injury compensation? In most cases, the answer is no, but there are important exceptions. As a general rule, proceeds obtained from most personal injury claims are not taxable by either the states or the federal government. It does not matter if you settled the case through negotiations or if you were awarded a judgment after a jury trial. Federal law prevents the federal government from taxing compensation received as a result of personal physical injuries or physical sickness from a taxpayer’s gross income. However, even if you suffer a physical injury or physical sickness, you will be required to pay taxes on damages relating to a breach of contract if the breach causes your injury and is the basis of your lawsuit. Punitive damages are always taxable. If you have a punitive damages claim, your lawyer will always ask the judge or jury to split the judgment into compensatory damages and punitive damages. That ensures that you can prove to the IRS which part of the judgment is taxable and which part isn’t. For help filing a claim, speak to a Palm Beach personal injury lawyer. If you are injured anywhere in Florida, and another person’s negligence caused your injury, speak to an experienced West Palm Beach personal injury lawyer today at the Law Offices of Thomas J. Lavin. Call us at 561-557-4546 or complete the form on the right. Our attorneys promptly return all phone calls. If you cannot visit our office, we will come to your home or hospital. If we do not obtain compensation for you, no fee will be charged. Hablamos español.